You can create a pretty pine cone chandelier for any occasion. 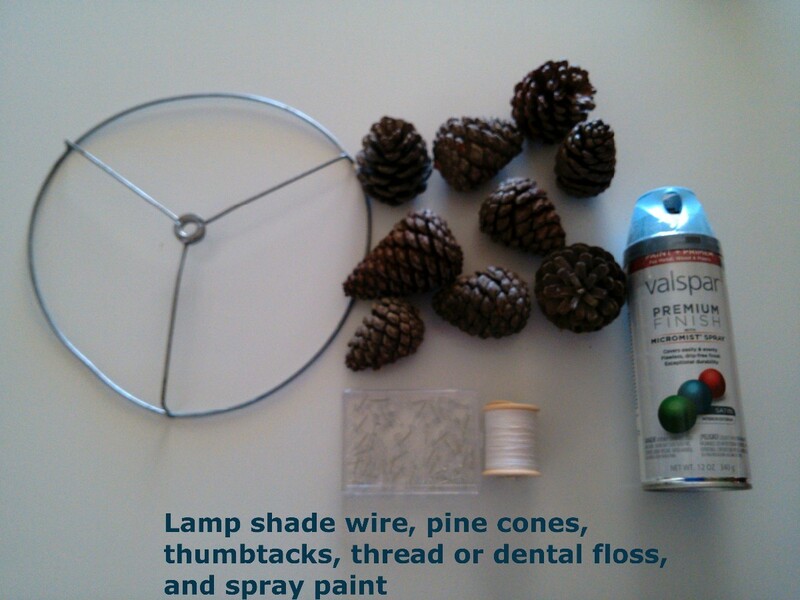 Spray paint the pine cones and lampshade wire over newspaper. 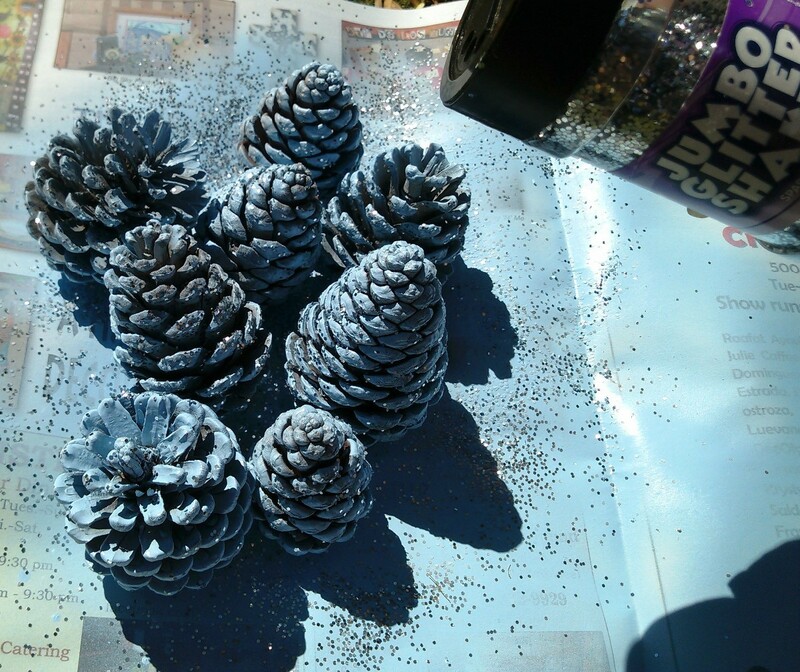 Sprinkle glitter right away so it will stick while the paint is drying. 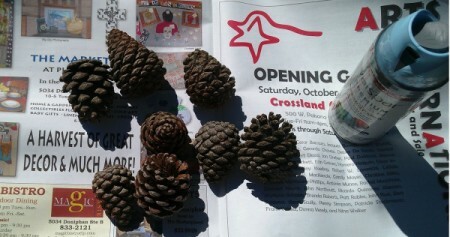 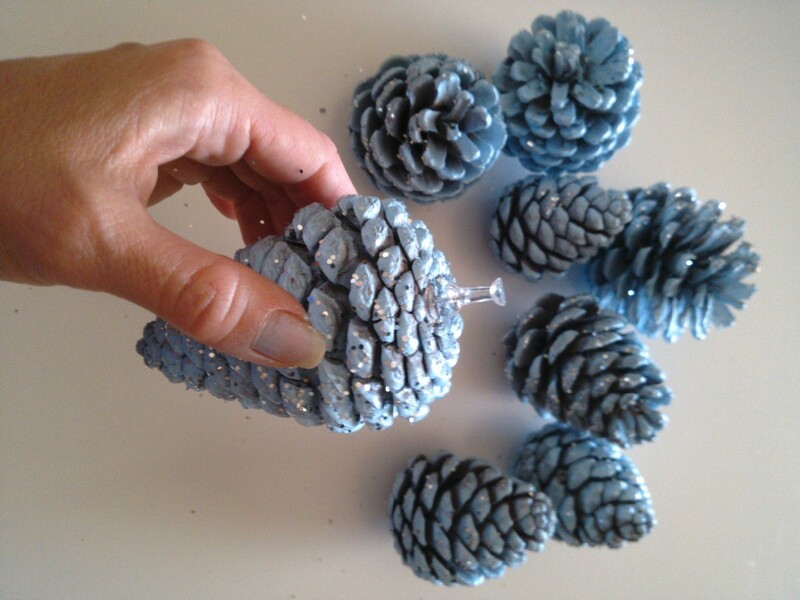 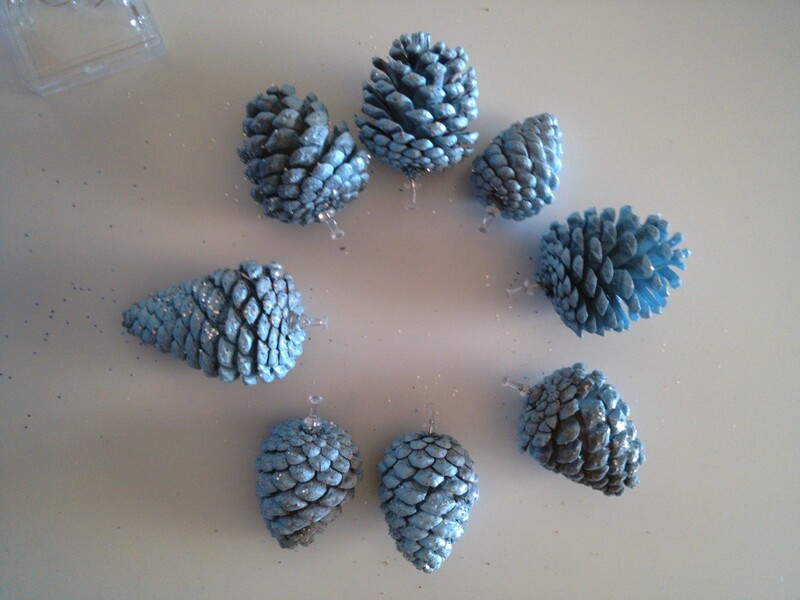 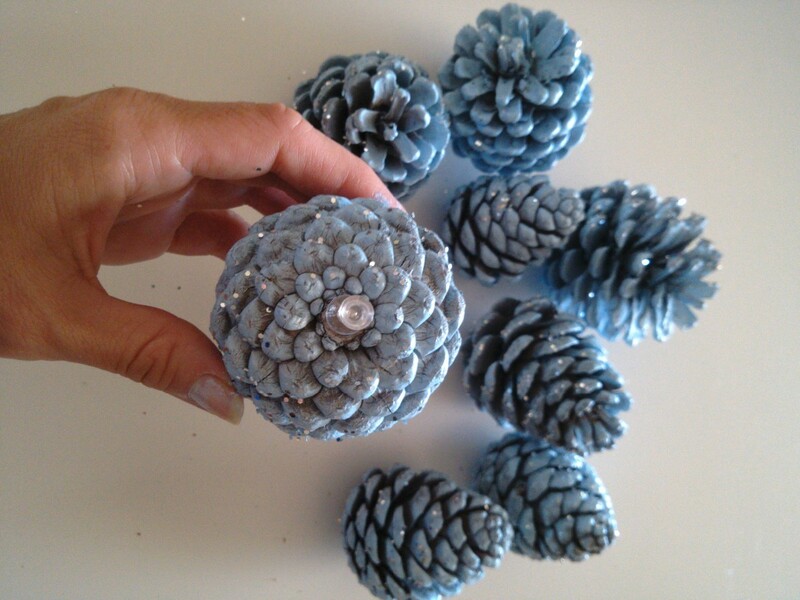 When pine cones are dry, stick thumbtacks into the center at the bottom of your cones. 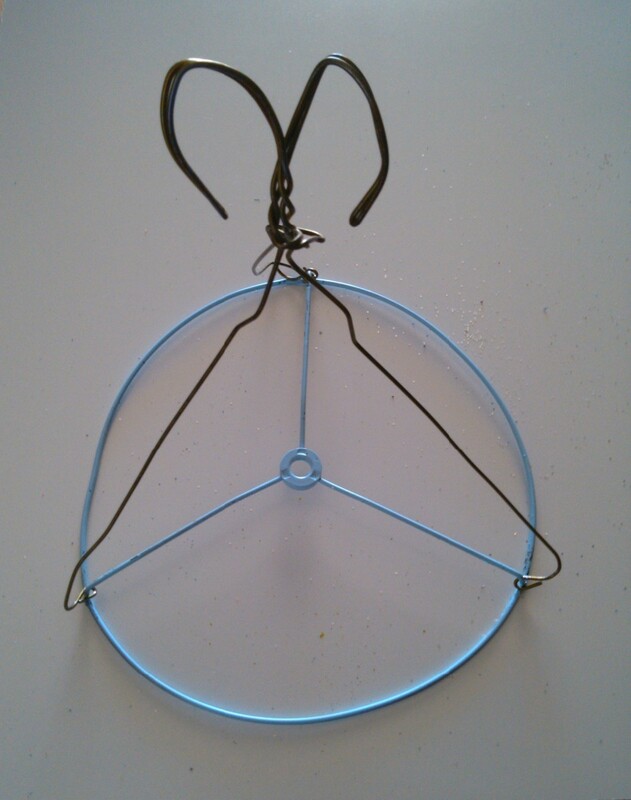 When wire is dry attach hangers as indictated. 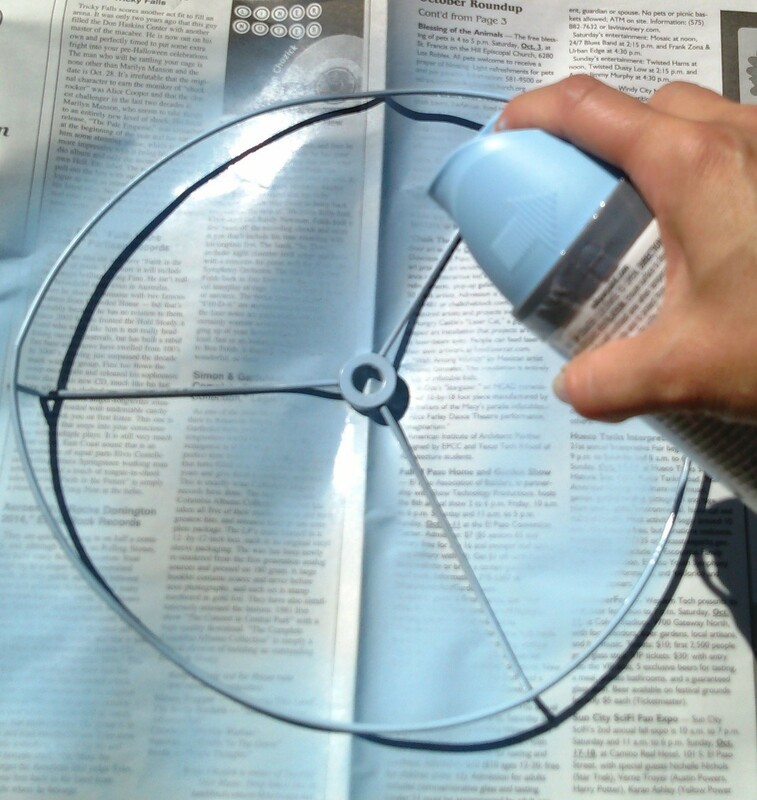 Twist the wire around the top to form a heart. 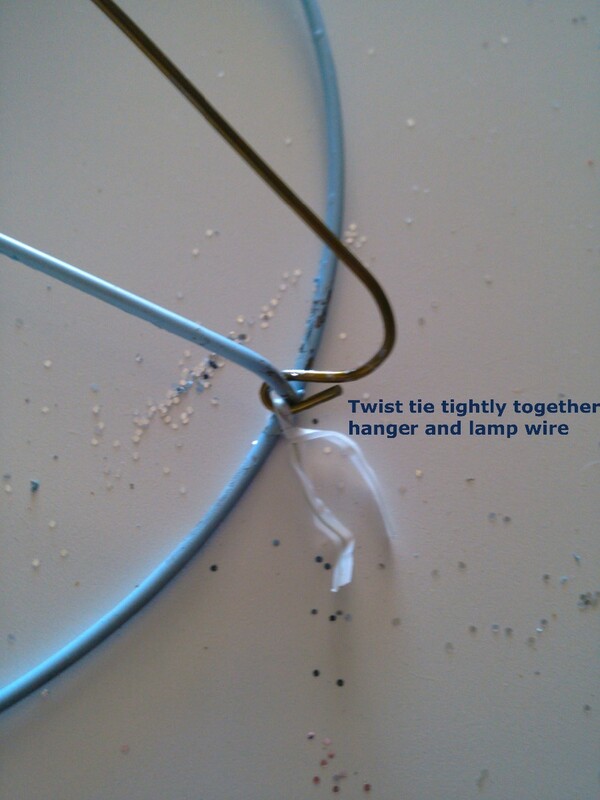 Close end wire with pliers. 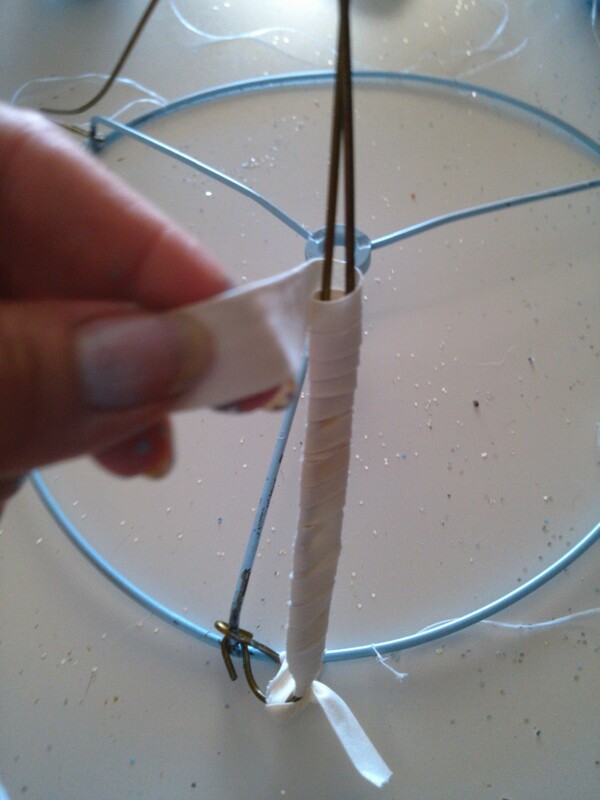 Secure hanger ends to lamp shade wire with twist ties. 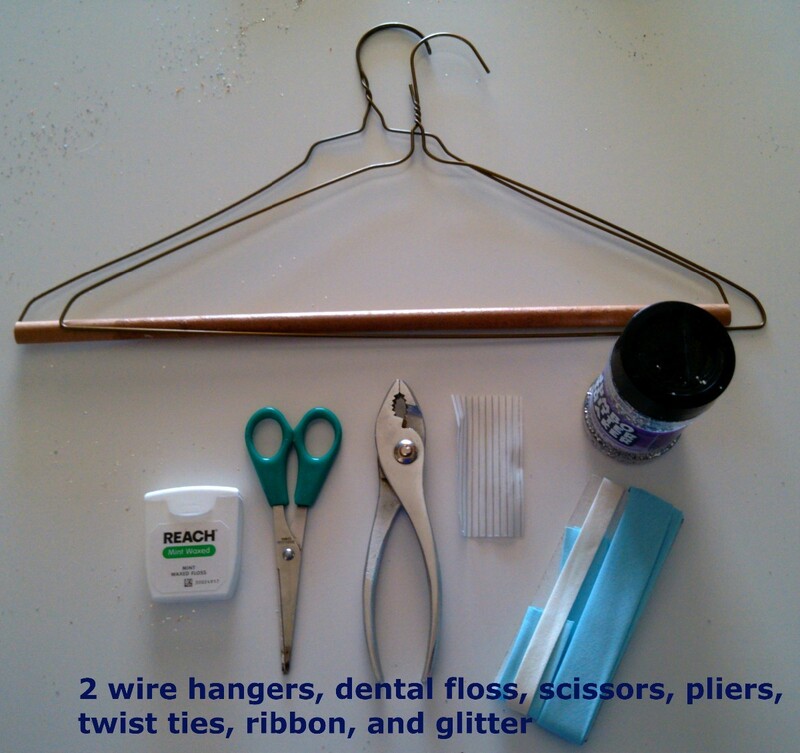 Wrap ribbon around wires and make a bow on top. 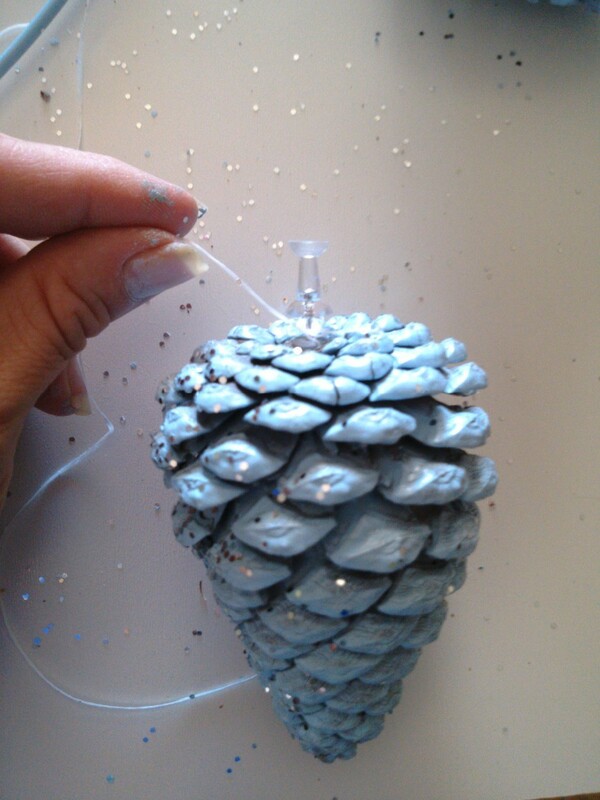 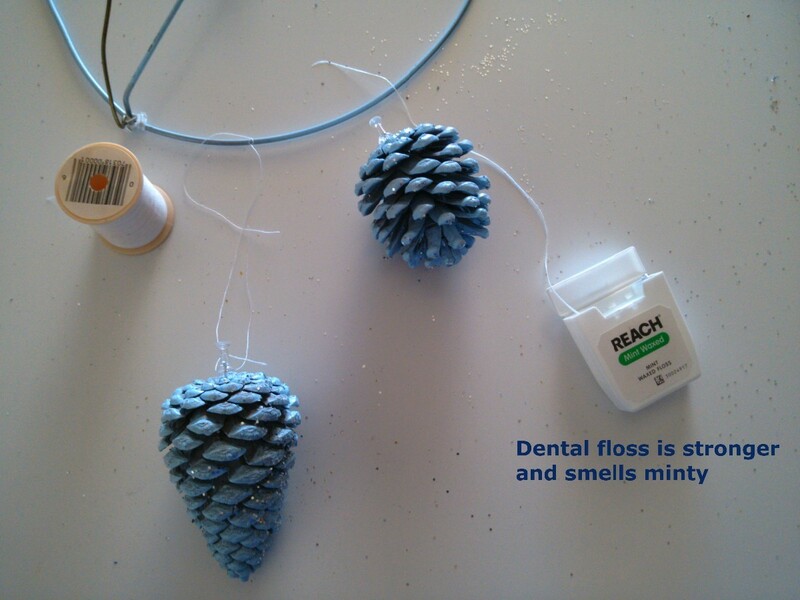 Tie thread around the end of thumbtacks on each pine cone, then tie knot to wire. 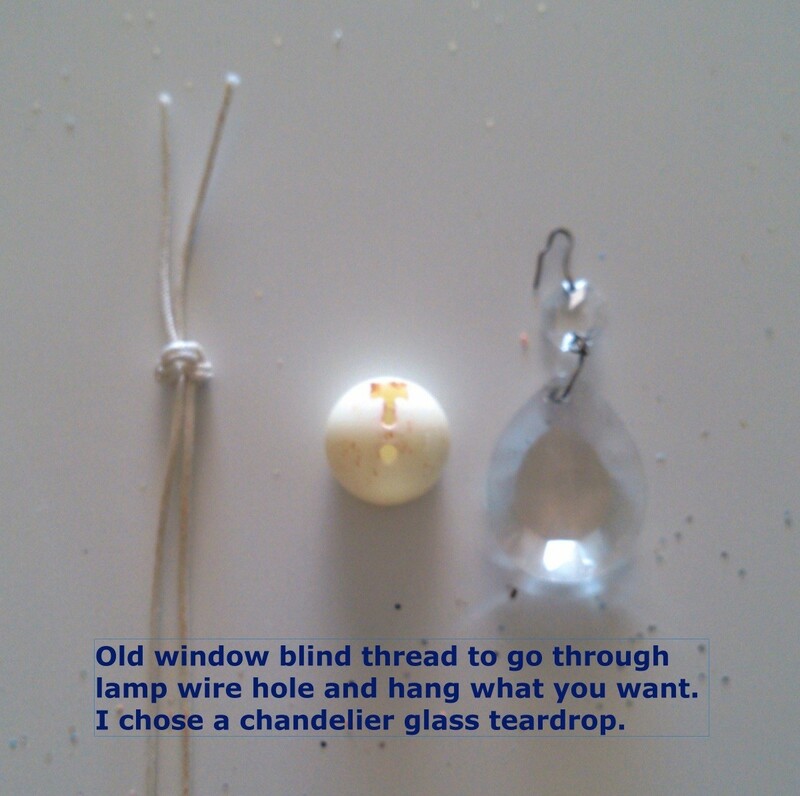 Run the window blind wire with ball pull on top and hang something in the middle. 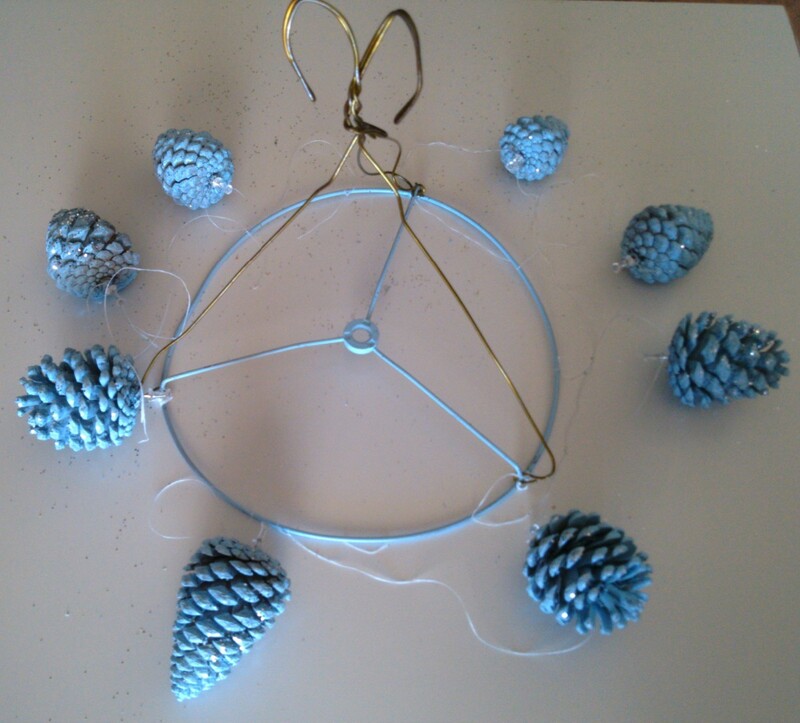 Cut any extra thread or ribbon that is hanging. 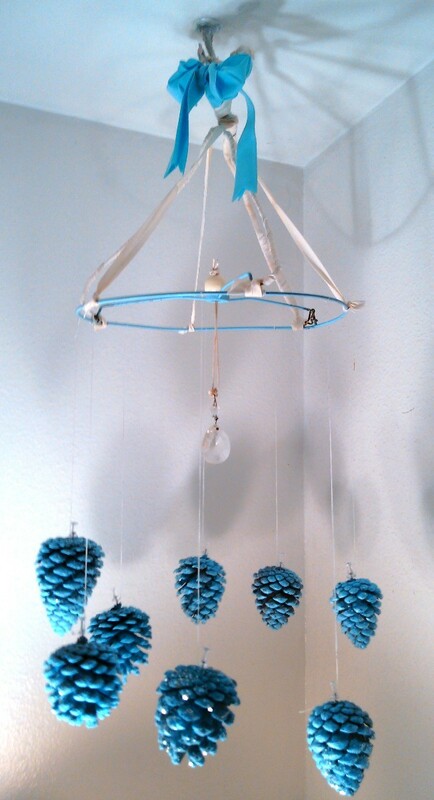 Finally hang for guests to view your pine cone chandelier!